Science is Magic! | Mrs. Anton's Class! 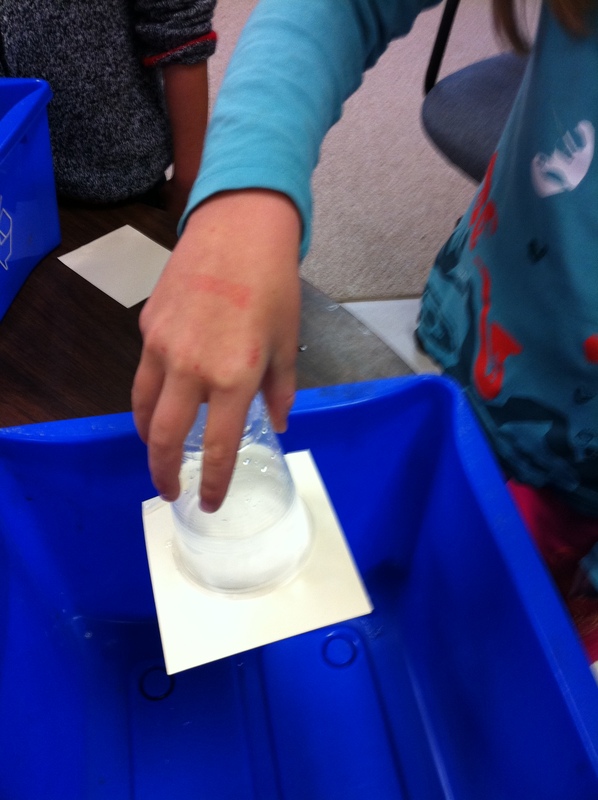 Each week we try to do a science experiment! I like to do the ones that children can do themselves with simple ingredients from home. The best ones make a BIG mess! I especially like the ones where you mix baking soda and vinegar together. We had fun with that one last week when we made popcorn dance! Last week we also did the one about air pressure. 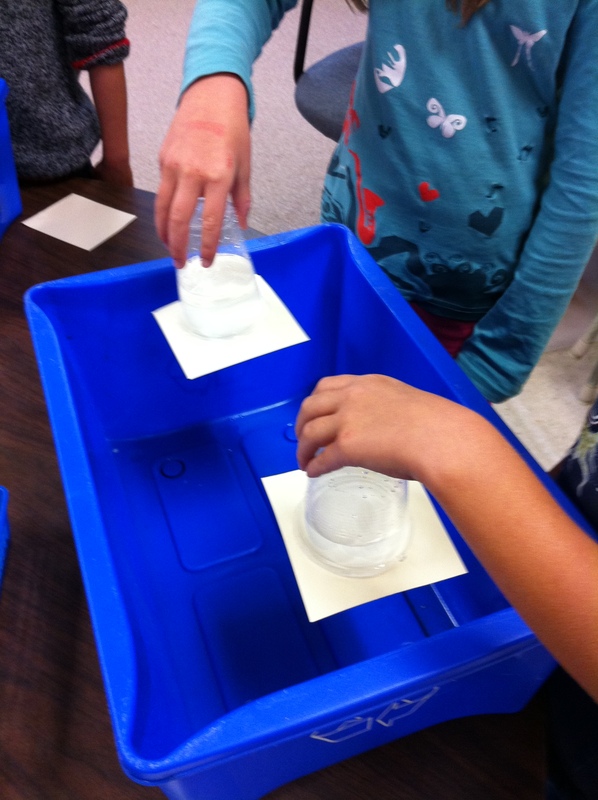 I have to admit it is really fun to see the children’s faces every time I demonstrate this experiment. It’s the one where you put a piece of cardboard on top of a glass half full of water, carefully turn it over keeping your hand very flat. You take your hand away from the cardboard and amazingly the water stays in the cup! It really seems like magic! The magic of air pressure! Some of the children had to hold onto their cups for a long time before the cardboard fell off! I found these experiments in a series of books by Dr.Zed in the library . The books were a culmination of the experiments in the Owl/Chickadee magazine. I checked the Owl/Chickadee website and it has some neat little games and they still have Dr. Zed science in their magazines too! Hopefully the children remembered their promise to show you this experiment over the sink!